Location. Location. Location. We've heard it so many times. This tiresome, generic real estate declaration is used by people who want to sound intelligent, but actually has become quite annoying and meaningless. Regrettably, in many cases, it becomes whatever you want to make it. And that can actually be dangerous. For your pocketbook, that is. In this post I'll be discussing important facts and dispelling a few myths about this nonsensical "location, location, location" crap, what information aspiring restaurateurs should arm themselves with, and what they should be looking for instead. This cliché of a phrase is mainly a marketing catchphrase used by many in real estate industry to tell us that the top three most important things about a piece of property are all on its location. It means location is all that matters. While true in certain cases, the problem with this oversimplification is it misleads people who don't know better, or who are too lazy to do their own research. 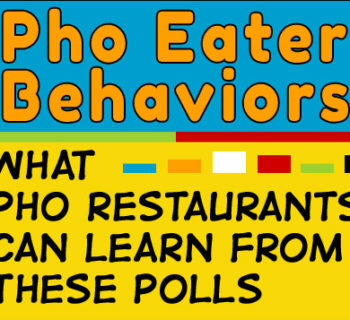 More recently, the same phrase is taken to apply to restaurants, pho restaurants included. It falsely implies that, for a new restaurant to succeed, all the owner needs is to sign up to a "great" location (and pay through the nose for it), and their new restaurant business will flourish. 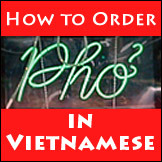 The danger here is, of course, pho restaurant business is much more than just food and location. 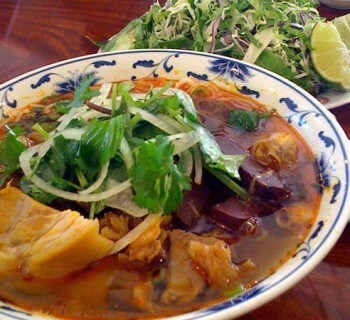 Like other restaurants, pho restaurants are first and foremost a business, and they should operate like a business. Let's clear the smoke (no pun intended) and take a closer look. When you break everything down to the right pieces, a great pho restaurant "location" should include at least the following factors. 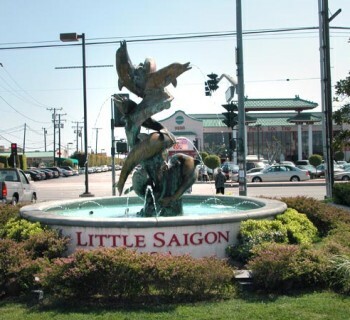 A great neighborhood that is suitable for your pho restaurant concept, whether you're a modern, fine dining, or casual, hole in the wall concept, or something else. Foot or vehicular traffic; number of parking spaces; ingress, egress and daypart traffic pattern; etc. are all important characteristics to understand before making decision on location. 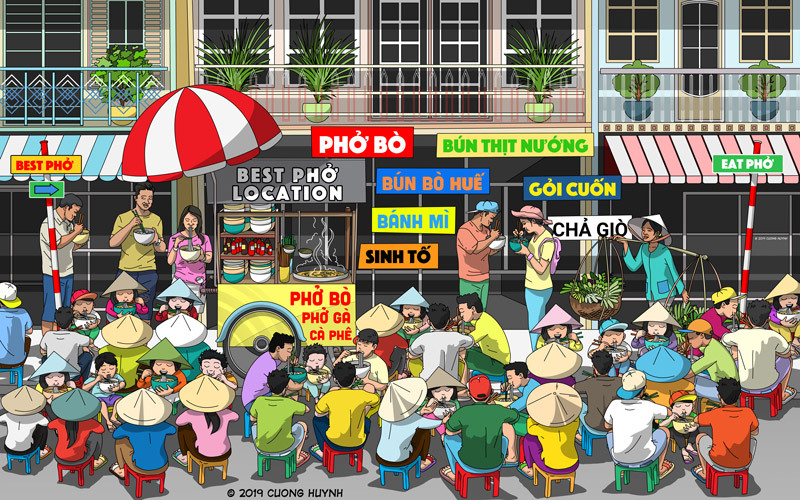 Physical/geographical location is what most people think of as "location", and sadly this is often the only "location" consideration for many wannabe pho restaurant operators. Actually, there are other factors just as important, if not more important, than physical "location". Let's start with interior space of a location. A building interior that matches your concept and customer expectations, or at least allows you to achieve your goals with reasonable modifications. It means the space allows you to 1) implement the concept you're after, 2) bring your concept to your market, and 3) do it in an efficient and affordable way. You want to make sure the facility has the necessary components or it can be upgraded at reasonable cost. We're talking about the shape of the space itself, space for proper kitchen equipment and your process flow, condition of existing heating and air conditioning system, bathroom facilities, storage areas, fire safety, zoning and permitting, disabled access, utilities service, plus of course, whether vent hoods and grease traps need to be modified or installed. Without analyzing these interior factors closely, you may end up spending too much time and money in this location, turning a potentially good geographical location into a costly location to build and unprofitable location to maintain. This generally means the potential customer base in the vicinity of the location, within one mile, 3 miles, and even 5 miles. What are the demographic profiles of the people living and working in the area; who live in apartments, and who own their own homes; are there schools nearby (high schools, university, trade schools); what businesses are within walking or short driving distance (professional offices, services, hospitals, factories, hotels); and their incomes and spending/shopping patterns. Without understanding these factors, you don't know your customers and you can't say whether a particular "location" is good for your concept. 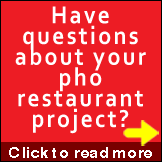 Getting a good lease means you 1) minimize investment costs of your pho restaurant before opening, and 2) minimize fixed operating costs after grand opening. For investment cost, a good example is Tenant Improvements (TI) credits from the landlord. You'd want to get the best TI possible. TI credits can be big cash back into your pocket in the range of many thousands of dollars ($10,000s to $100,000s), depending on size and complexity of a project. Inexperienced operators often don't understand this and end up leaving huge chunks of money on the table from the get-go. For operating cost, your signed monthly lease will contribute to whether your break-even point is low or high. Obviously you want your break-even point to be low. But I've seen many not-so-great lease agreements with such high payments that the business may not have a chance to break even any time soon, or it would take extraordinary efforts to break even and maintain it. In any case, due to lack of experience both in restaurant business and in negotiation skills, many people omit negotiating for a good lease for their business. Knowing how to negotiate, and what to negotiate for, can turn a seemingly undesirable location into a profitable location. Conversely, a seemingly good location with a bad lease can eat you alive, again no pun intended. 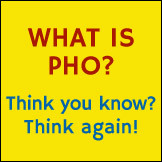 I'm a pho customer, I like to eat pho. And the pho has to be good. I like pho that is reasonably and fairly priced. I'll pay to have good pho served to me, with an awesome experience to go with it. If it's good and affordable, I might even eat there several times a week. I like to frequent a pho restaurant that is convenient for me. Convenient to access: Within walking distance, short drive, safe to be any time of the day, easy and plenty go parking, etc. Convenient to fit my time: Opening and closing hours, easy for me to get to, to get in and get out; or order online with easy hop-in, hop-out pickups. Convenient to order, pay and pick up: on-site and online ordering that is easy, not confusing, and fast. No waiting when I pick up. Convenient to revisit and experience it again and again. Because I like to go there. It's clean and I enjoy eating there. I like a place that is clean, safe, comfortable, and overall be pleasant to spend time in. I like customer service that is friendly and honest, and cares about my experience, but overly or artificial friendliness is a big no-no. 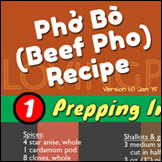 I like takeout if I need to, and the pho is just as good tasting, packaged conveniently, and served quickly. I like etc. and etc. It is this: choose a location that meets all the 4 location factors discussed above. Yes, all of them. Definitely aim to meet as many customer likes as possible with the first 3 factors; they are for the customers. On the other hand, location factor 4 is for you, the owner. Customers really don't care about factor 4. More importantly, if you have a good lease, you as an operator will be able to focus even more time and effort on meeting and maintaining more customer likes, the first 3 factors. That's what you want, and that's what a good location really means. Parting thoughts: It's very tempting to just jump in and sign a lease, then think you can figure the rest out later. The right approach, however, is to develop your concept and know what you want to do first, then select a location that will best allow you to achieve it, preferably meeting all 4 factors above.